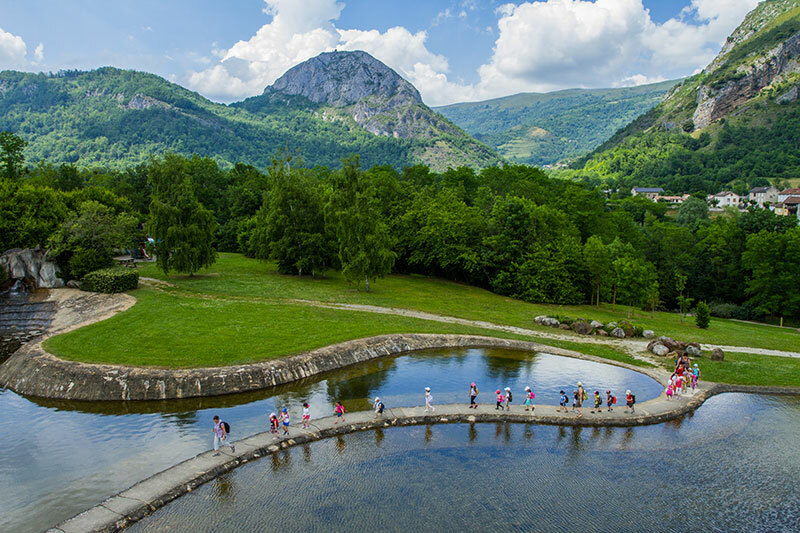 Both a theme park and a museum, the Parc de la Préhistoire is above all a fun and interesting site where both the young and not so young can discover the life of the Cro-Magnon people. Over the day, and through our practical workshops, you will learn how to hunt, paint on cave walls, carve flint, light fires like cavemen did 14,000 years ago, or learn to work like an archaeologist. “Le Grand Atelier”, a visual museum space covering 2,500 m2, will introduce you to Prehistory through films, objects, and life-size replicas such as a reproduction of the “Salon Noir” in the Grotte de Niaux caves, the “Niaux interdit”, and the Grotte de Marsoulas caves. The park can be visited in any weather since all the workshops are under cover. dédiés à l'Etat et aux Collectivités.